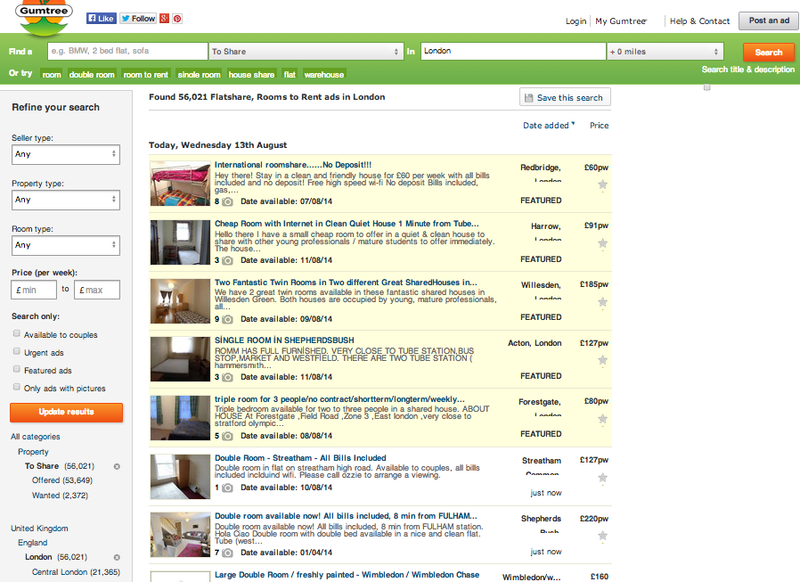 Gumtree is home to online classifieds and community websites for jobs, property, cars, flat shares and more. You may find short term as well as permanent accommodation in a flat share or house. Although it is probably the most used, it loses its safety since it is very easy to post fraudulent adverts, so be wary! Gumtree is good for browsing a wide range of properties due to its large number of posts, however you must be wary when searching to ensure that the standards of the property are acceptable, and that it is in fact a certified advert! Visit the Long Term Accommodation in London page for more sites offering permanent accommodation.